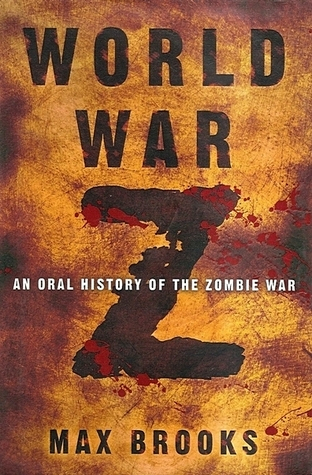 I can’t explain why, but I put off reading World War Z for several years. I knew about it, knew it ticked a bunch of my boxes, but never started it. Maybe I thought the style (written as a series of personal interviews with survivors of the zombie war) wouldn’t work, maybe it was the Brad Pitt movie. I’m not sure, but I was wrong. This novel blew me away over and over again. By the time I’d finished I felt wrung out, and will probably return to re-read it again before this year ends. World War Z unravels the events of the great zombie war, written by a special investigator for the UN. This investigator, having submitted his report, was distressed when the personal accounts — the human stories — were stripped, in favor of focusing purely on facts and statistics. World War Z is a compilation of those accounts, showing us how the war was fought (and won) through the experiences and memories of the survivors. World-building. WORLD-BUILDING. Did I mention world-building? The author, Max Brooks, has plotted the course of this war, fought on a global scale, in staggering detail. Everything from the individuals, to communities, to government responses has been accounted for. Brooks also hasn’t shied away from tackling a variety of cultures, presenting snapshots of the US, South Africa, Korea, Japan, Russia, the UK — all with a sense of authority that feels believable. It’s obvious he’s spent a great deal of time working through the question of a zombie apocalypse and pulling on every string he can find. That being the case, the danger is producing a book that reads like a history text. This is where the genius of Brooks’ approach comes in, by presenting this wide-ranging tale as a series of survivor interviews, he’s able to give us small, personal stories, each of which contributes to a greater whole. I loved this book. It defied my expectations and delivered something both unexpected and delightful. If the zombie or apocalypse genre interests you at all, this book should be mandatory reading. You can find World War Z on Goodreads, Amazon, and Book Depository.